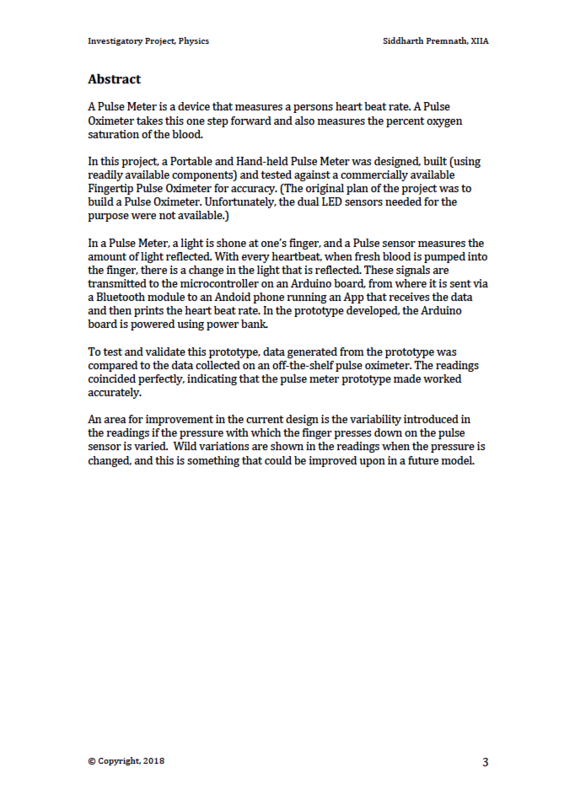 Physics Investigatory Project, Class 12 | It is Siddharth's world! 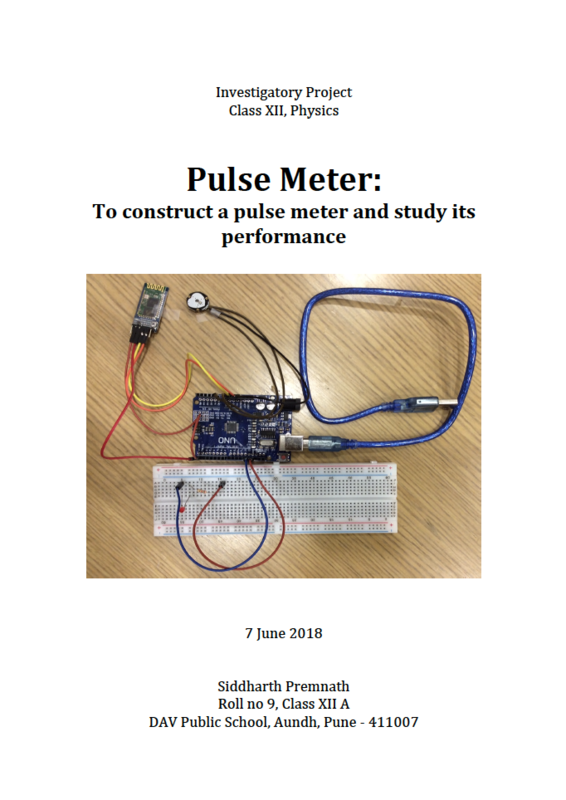 Over the summer vacations of 2018, I worked on a wearable pulse meter. I really enjoyed doing this!